Brunch used to be rather predictable around town, but in the last few years, these venues have significantly raised the standards both in creativity and quality. Bubba—Southern Comforts: Shrimp and grits, fried green tomato Benedict, chicken-fried steak and eggs—you got it! 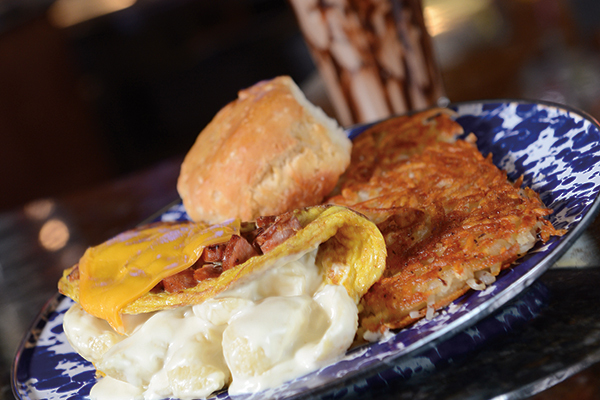 Many of the weekend brunch offerings here swing Southern. 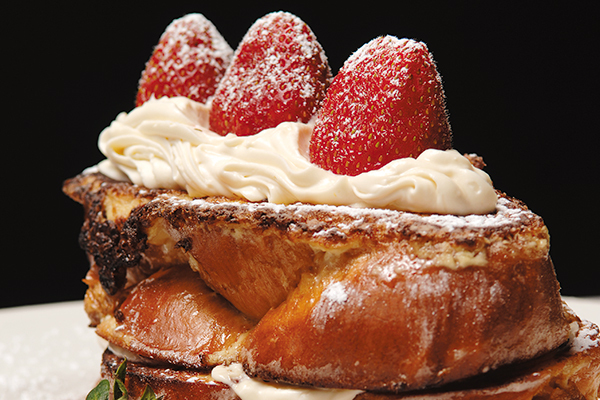 Centro’s stuffed French toast with fresh strawberries and whipped vanilla mascarpone cheese. Centro: From the prosciutto and eggs with country Italian toast to the divine breakfast pizza, brunch dishes here are unmistakably elevated by executive chef George Formaro’s scrupulously wrought breads. 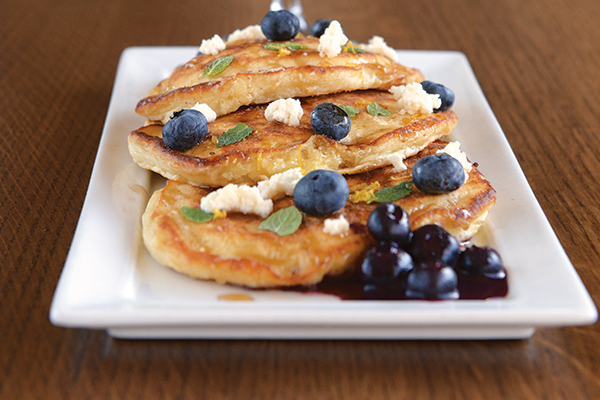 Fresh blueberries are dotted throughout Eatery A’s lemon-ricotta pancakes, which are topped with real maple syrup. Eatery A: With choices such as lemon-ricotta pancakes with blueberry compote and wild crab eggs Benedict with charred avocado and harissa aioli, chef Nic Gonwa’s brunch dishes arrive robust yet beautifully detailed. 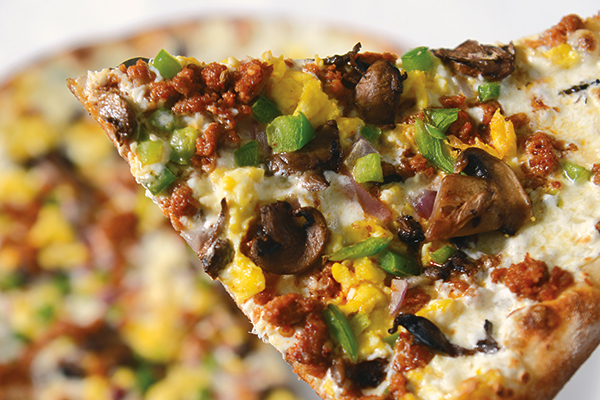 Jethro’s BBQ and Bacon Bacon: When it comes to brunch, we generally fall in the avocado toast and quiche camp. But when only a trip to big-food heaven will do, book a ticket with the Texas brisket omelet or a triple-meat breakfast skillet at this ever-popular barbecue spot. St. Kilda: Sure, you can go light with house-made granola or steel-cut oats, but even if you opt for more indulgence, the selections are fresh, creative and colorful (e.g., the Saint – a sandwich of egg and house-made ginger sausage, with bacon, avocado, red onion, arugula and tomato jam, on a house-made sesame seed bun).